If you think the hubbub earlier this week surrounding the live-streamed landing of NASA's InSight on Mars was the end of the excitement, then you couldn't be more wrong. The landing was only the beginning, and now the real fun starts as InSight begins science operations and the very important job of giving us more cool photos of the Red Planet to drool over. 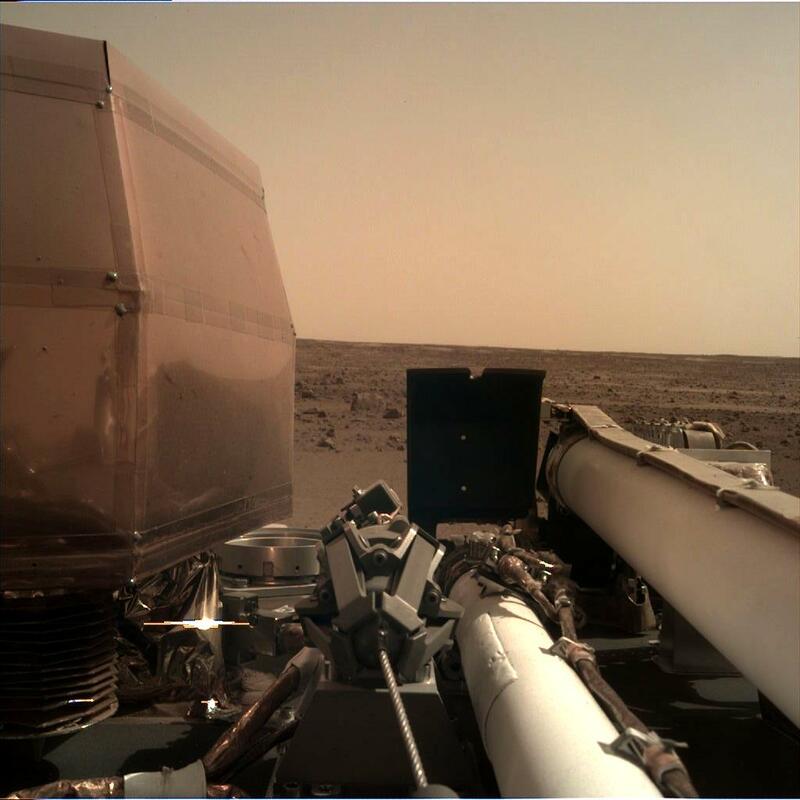 InSight beamed its first image from the surface back to Earth on the same day that it arrived, and NASA was kind enough to share it with the world. The image was taken by the Instrument Deployment Camera (IDC) on InSight's robotic arm and first sent to NASA's Odyssey spacecraft (which has been orbiting the planet since 2001) before being sent back to Earth. NASA reports that the lander's transparent dust cover was still on when the landscape shot was snapped to protect the lens from all the Martian particulates that were flying around before, during, and after the $829 million lander touched down. The landing site is near the Mars equator on the western side of Elysium Planitia, a plain that is roughly 373 miles away from the Gale Crater where the Curiosity Rover landed in 2012. "The InSight team can rest a little easier tonight now that we know the spacecraft solar arrays are deployed and recharging the batteries," said Tom Hoffman, InSight's project manager at JPL. "It's been a long day for the team. But tomorrow begins an exciting new chapter for InSight: surface operations and the beginning of the instrument deployment phase." The sun is much weaker on Mars than it is on Earth, but NASA says that the InSight lander's two 7-foot-wide solar arrays will continue to charge its batteries even when they're covered with dust. That's a really good thing, because we all know what happened with Opportunity...too soon?